Shayari is the best way to describe our love to others, so i hope these i love you hindi sms Shayari are good enough to show your feelings and emotion to your loved ones. So how was our shayari? tell us using comment box given below. 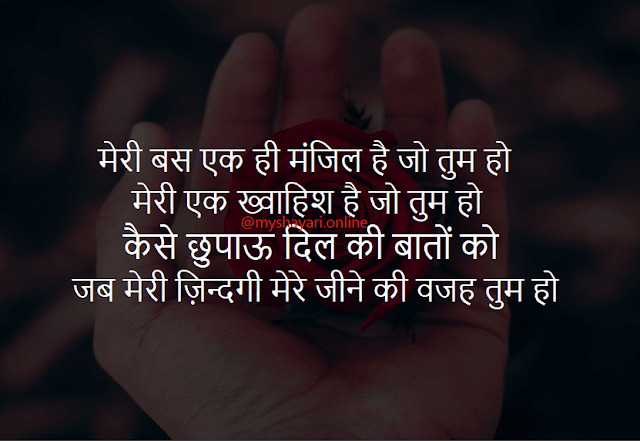 And don't forget to read our other collections at MyShayari.Online. we'll be updating this collection and will be adding more collections in near future, so stay tuned, you can also bookmark this page.